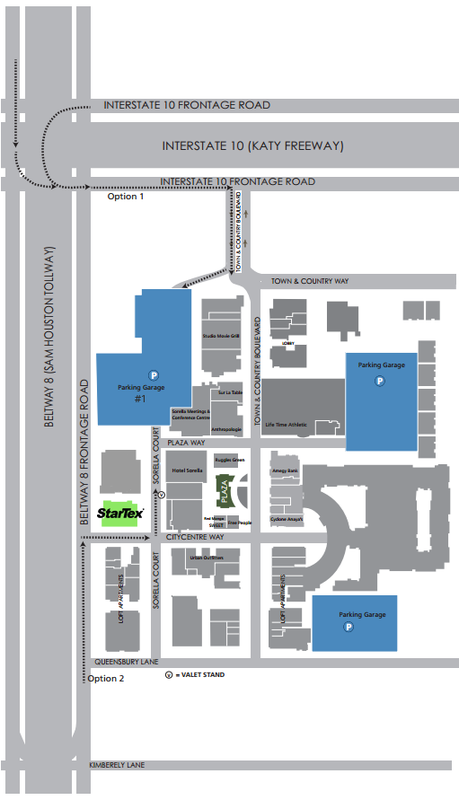 StarTex Software's Houston office is located in CITYCENTRE Building 4 at the corner of Citycentre Way and Sorella Court. Free parking is available in any of the three garages. Paid valet and curb parking is also available.